As soon as we got off the tram at Sultanhamet, I could feel how happy I was to be in Istanbul. 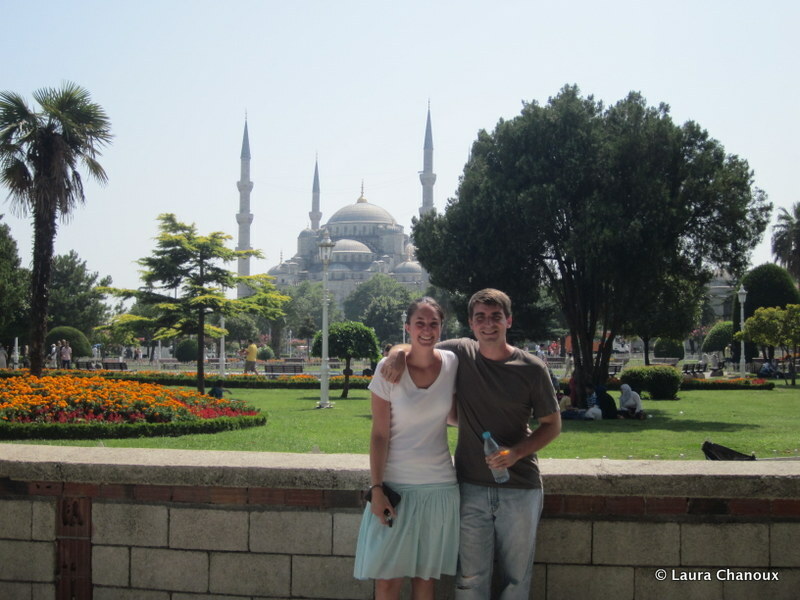 I kept grinning as we walked past the Blue Mosque and the Hagia Sophia. After months of talking about Istanbul, we were finally here again. Eric and I visited for two quick days back in 2010. I remember liking Istanbul but feeling slightly uncomfortable. I think Eric put it best when he described Istanbul as the first city he'd visited that felt "truly foreign." When I visited Paris or Rome, it was clear I wasn't in Massachusetts anymore. At the same time, Western Europe has enough similarities to the US that the cities feel familiar. I grew up seeing photos of Rome, London, and Paris. I studied French and can navigate my way through an Italian menu. Getting to Turkey was a big change. Thought most shopkeepers in the tourist areas speak English, I couldn't skim over signs in Turkish and guess the meanings as easily. It was the first place I'd been with aggressive salesmen outside restaurants; they invite you in for a drink and continue talking to you as you pass them and walk down the street. I left with a positive impression of the city, but was surprised by how much I loved returning. There are a few reasons I fell so deeply in love with Istanbul the second time around. For one, I've done some more traveling and am more comfortable in unfamiliar environments. Additionally, after four months in Southeast Asia I was ready to be in a more European city. In Bangkok or Phnom Penh, sidewalks are often used for parking motorbikes, displaying goods for sale, or generally everything except walking. Frequently I found myself strolling in the street, checking over my shoulder to make sure no one was zooming up behind me. I hadn't realized how much of a habit this had become until we got to Istanbul and I found myself looking around corners on pedestrian streets for speeding scooters. 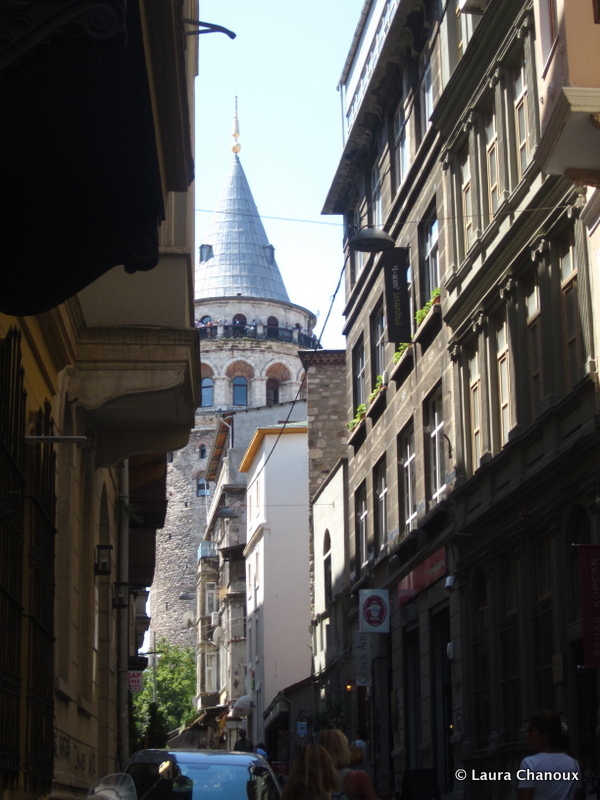 I love the wide streets and beautiful buildings of Istanbul. The mosques with minarets that soar over Istanbul would each be the central feature in any other city. Here, each is one of many amazing structures that dot the skyline. Although I already miss fried noodles and curries, I adore Turkish food. (It's no surprise that food was going to feature somewhere in this post, right?) From meatballs to kebabs to rice that's not steamed, it was a delicious departure from Asian cuisine. Though I've read that apple tea is only for tourists, I don't mind - it's sweet and wonderful to sip while looking out at the Bosporus. I drank more tea in our week in Istanbul that I have in the rest of my life combined. My friend Hope visited Istanbul earlier this spring. When we were talking about her trip, she asked me, "Do you remember learning about the Hagia Sophia in freshman year World History class? Didn't it sound too far away to even imagine?" I agreed. 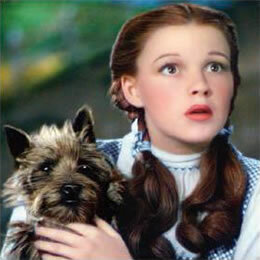 "Oh Laura," she said, "our lives." Maybe that's one of the reasons I love Istanbul so much. In addition to the city's beauty and culture, it symbolizes possibilities. It is proof to me that what had seemed so far away isn't unreachable. But the baklava doesn't hurt, either. 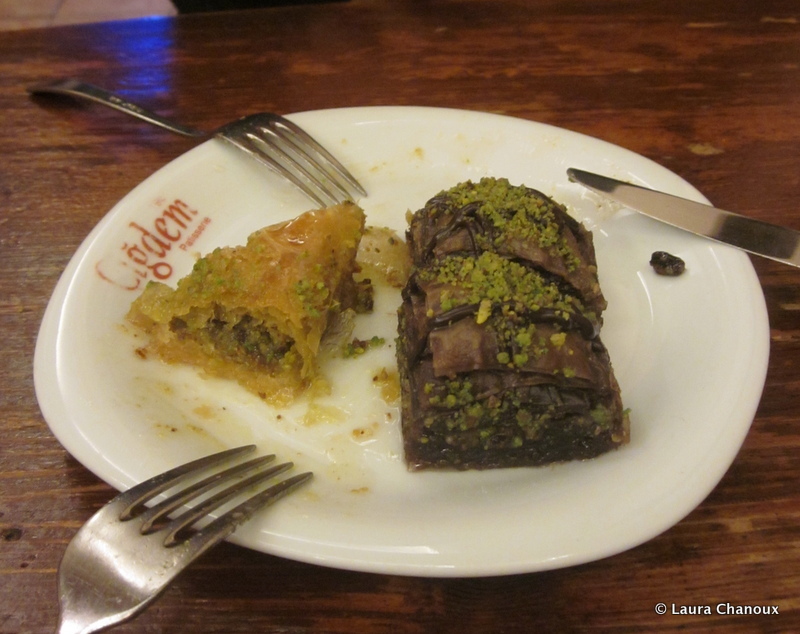 I would happily end every night with tea and baklava. What makes you love a city?